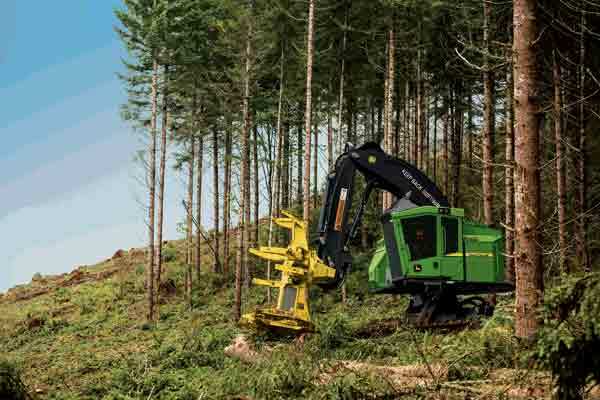 As a part of its commitment to offer loggers equipment designed to meet their needs, John Deere has upgraded the 800M-Series Tracked Feller Bunchers and 800MH-Series Tracked Harvesters with engines that meet FT4 emission standards. Building upon the revolutionary design launched in 2015, the machines are equipped to deliver premium performance, fluid efficiency, reliability and economical operating costs, built on decades of engine experience and millions of hours of Tier 4 runtime. The machines feature the same undercarriage and boom featured on the 900M- and 900MH-Series counterparts. "The John Deere FT4 engines have been rigorously tested in the most extreme applications and harshest environments. 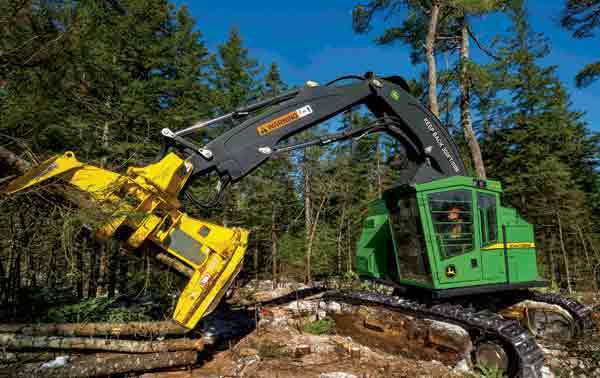 This extensive testing process offers loggers peace of mind that their machine will be able to OUTRUN the most adverse conditions," said Jari Mennala, Director, John Deere Forestry Sales & Marketing, United States, Canada, Latin America. "We are committed to providing loggers with the most comprehensive solutions in the industry, developing superior products that deliver quality, performance and efficiency while meeting current and future emissions regulations." The machines are equipped to deliver premium performance, reliability, and exceptional fluid economy. 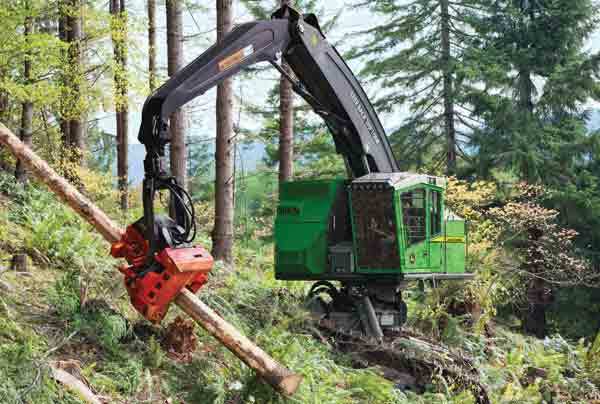 While the upgraded FT4 engines are new to the 800M-Series Tracked Feller Bunchers and 800MH-Series Tracked Harvesters, the machines still maintain the features that loggers raved about when they first launched. The operator station is roomier and more comfortable, equipped with ergonomically designed controls, fully adjustable armrests and an air-conditioned seat. Additionally, floor-to-ceiling front and side windows plus an overhead skylight provide operators with an outstanding view of the cutting area. As noted by Cory Isley, D&J Isley and Sons, "The cab is more spacious and comfortable with much better visibility. A comfortable operator is more productive." Floor-to-ceiling front and side windows plus an overhead skylight provides operators with an outstanding view of the cutting area. www.JohnDeere.com/Forestry or contact your local John Deere dealer.